Once it was colonized by the Spanish, South America seemed destined to become another winemaking region of the new world. However, a number of political upheavals and issues had a profound influence on this continent and the wine industry had to wait a long time to prosper. It was only in recent times, towards the end of the 20th century, that the two main wine producing countries of South America – Argentina and Chile – have gained worldwide fame in the world of wine. With over 400 years of winemaking tradition, brought over by Spanish missionaries, Argentina is considered the most promising of the New World wine regions. There is a huge consumption of wine within the country and wine was even given the status of national liquor recently. However, due to a number of social and political factors, just like in many other South American countries, the export of Argentinean wine only started in the 1990s on a serious scale. It followed the example of neighboring Chile and only a decade later, entered the list of top world exporters of wine while gaining serious recognition by wine experts. There are many regions in Argentina suitable for winemaking due to their high altitudes that makes them safe from most of the dreaded grape diseases and parasites. European immigrants from different parts of Europe kept bringing in their winemaking experience to the region over the last few centuries, thus helping to establish the wine industry in this promising region. Now that the exports have taken off, and modernization has set in, Argentina is considered by many as the sleeping giant of wine production. The region has huge potential because there is a sort of national dedication to wine, as mentioned earlier. Chile has been blessed by a large coastal mountain region with a climate that can be described as being somewhere between that of California and France. So, the Chilean winemakers had a unique opportunity to use their experience of the Old World and create a unique fusion to produce a new kind of New World wine in this climate. This may be called the secret of wine success of the land that has made Chile the fifth largest exporter in the world and the ninth largest producer of wine. The viticulture was brought to Chile, just like in other South American countries, by the Spanish Conquistadors for Church purposes. However, when the Chilean winemaking made progress, Spain unsuccessfully tried, remotely, to control it by limiting the production and its export. The mainland orders from Spain went mostly ignored by Chile and the winemakers continued their forays, going for French winemaking experience in time. Also, French winemakers were suffering from the Phylloxera plight and many of them decided to move to Chile, which was, mercifully, never affected by this plague of winemaking. Both these factors helped boost the Chilean wine industry. 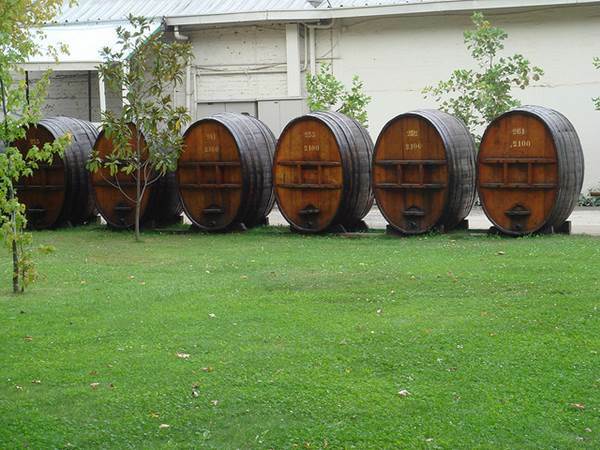 A simple yet significant shift in Chilean winemaking occurred in the 1980s when the winemakers in Chile switched the material for aging barrels from Rauli Beech Wood to oak and stainless steel. This was done in order to eliminate a peculiar taste that was accepted by the local consumers but was found to be unpleasant by international tasters. With the passage of time, the winemakers worked hard to improve the quality of the wine, which finally started paying dividends for them. In the beginning of the 21st century, Chilean winemaking skyrocketed to success in blind wine tastings, and from 2004 to 2006, it occupied the top spots in various tastings in Asia, Europe and South America. It has found its way to newer markets all over the world and is currently taking the wine market by storm, and grabbing market segments from other established imported wines.